SO to sum it up I was bound to LOVE Katy Evan's new heart-stopping read no matter even if it did not have Tate (sigh) in it. Luckily, we were fortunate to have the power couple, Tate and Brooke, featured in this novel too. Now for the "explained later" part, as I was saying, Legend was tamer in the violence aspect than Real and Remy (books 1 and 3 in the Real series). After re-reading Real, I was expecting arguments, yelling, maybe even a kidnapping to take place in Legend. 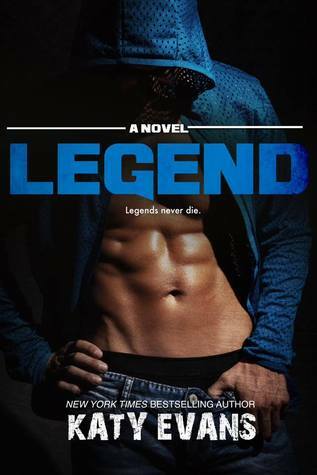 Real was marked one of my most emotional reads of 2013, and I came to find Legend was not like that at all. What I loved most about Real was that it kept me on the edge of my seat, almost as if you blinked an entire dialogue much needed to the story, were to pass you. Legend may not have had the violence aspect to the same extreme as the first novel in the series, but it did have me falling quicker in love with Jackson than I did with Remy. Jackson and Reese had a relationship that best could be described as easy. I loved how quickly Jackson took to Reese. The connection between the two is undeniably strong, regardless of Reese's fighting for it not to be. Towards the end of the book we find out more of Reese's back story as to why she choose to stay with her cousin Brooke and Remy (OH and Racer!) 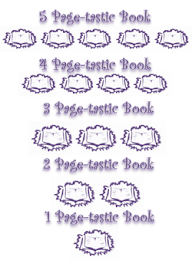 I was in for a shock of all the things my mind came up with while reading the story it was not that which made the story line even more delightful. The moments between Racer and Jackson had me swooning and awwwing. As well as Jackson's consistent chasing after Reese, I think I can say I've surrendered my heart once again to a fictional character.